Can younger and older Christians ever see eye to eye? That actual sentence—which preceded a long Facebook comment referencing several, highly charged political issues—popped up on Craig’s feed (not his real name) shortly after he shared an article of Bible verses commanding Christians to help immigrants. The story related the Scriptures to the modern-day refugee crisis. “[In looking at] attitudes toward religion and politics, what you see is a very consistent pattern: that today’s young adults across all of these realms are leading different lives from the boomer generation,” Paul Taylor says. Taylor spent more than a decade studying generational demographics and data as the executive vice president at Pew Research Center and is the author of The Next America: Boomers, Millennials, and the Looming Generational Showdown. Taylor says the strength of his methodology is that it allows researchers “to tell stories with numbers.” And the story it’s telling is one of a growing divide between two generations who share different values about race, religion, politics, marriage, family and money. It’s also playing out in pop culture. Sure, “kids these days” plot-lines have long been staples of sitcoms and family movies, but one of the most contentious election seasons in recent memory has taken generational differences from playful jokes to genuine anxieties. Throughout the holidays, a running joke on Saturday Night Live was people attempting to escape holiday dinners, which had become a minefield of political arguments and heated debates between 20- and 30-somethings and their parents. But what happens when these differences don’t just serve as punchlines or fuel for social media feuds? What happens when they start to threaten real families and even threaten to divide the Church? A recent Gallup poll found that 77 percent of Americans now believe the country “is divided on the most important values.” That number is at an all-time high. And, in many cases, those divides are falling on generational lines. What he means by the different values “reinforcing” each other is that there is a sort of domino effect of social, economic, technical and cultural changes that have led to millennials growing up in a very different world than their parents. Because of this, they’ve become very different people, with very different values. And perhaps in no other realm is this more apparent than when it comes to religion. What’s caused this observable difference in faith and religion? Experts point to a variety of factors, but Taylor has observed a correlation: Millennials are marrying much later in life than their parents did. Taylor says the reason for getting married and starting families later isn’t simply a shift in values, it’s a matter of practicality. Millennials—who are frequently strapped with debt after graduating college—often simply can’t afford to settle into adult life as soon as their parents once did. One domino falls (debt and a tough job market), and another is knocked over (getting married later in life) and suddenly, values start to shift (giving up on more traditional church settings, often ones geared toward families and couples). But along with data-backed information, there could also be some additional, less quantifiable factors at play. “What I witnessed firsthand by the hundreds, if not the thousands, is young people who were able to commit themselves to something larger than themselves for people who are not really their neighbors, but also at the same time take care of their neighbors or like people affected by homelessness in the community; really intelligent and driven and sacrificial,” says Jason Russell. Russell understands what makes millennials tick. He’s probably most famous for masterminding the “Kony 2012” viral video, a short documentary that was viewed more than 83 million times in the 14 days after its release and mobilized thousands of millennial activists in an effort to bring down warlord Joseph Kony. The video—and its effectiveness—has since been debated by critics, but one thing isn’t debatable: It struck a nerve with many millennials. Through his work with the organization he founded, Invisible Children, Russell has seen thousands of millennials dedicate their time, talent and even money to helping orphans, supporting public awareness campaigns and becoming politically active. He says that this value—this sense of being able to enact big change in far corners of the world—was shaped by something unique in this generation: being raised in the era of social media. This time of connectivity has led to an exposure to new ideas and new perspectives at volumes never experienced by any generation in history. “I do believe that when we look back, we will see it as a generation that is not only deconstructing everything that they have been told from the generation that came before them—their parents, their bosses—but they’re also waking up in a way that no generation has ever been able to experience in the world and that is largely in part because of technology and the connectivity that they have,” he says. But it’s not only technology that exposes millennials to new ideas and worldviews—often ones that are very different than their parents. According to research, millennials are surrounded by more diversity in the real world than most in their parent’s generation ever were. This change in demographics has led to a core change in values and worldview: Millennials celebrate their generation’s diversity instead of taking the approach of being “colorblind” to racial differences, like many in previous generations. “One way to summarize this is in the 20th century, the phrase and metaphor that was used to describe an immigrant-driven population was melting pot,” Taylor explains. “People come from all over the world but in the course of a generation or two we all melt together, we all become American. That’s the American ideal. In the 21st century, I would say the value is more mosaic. 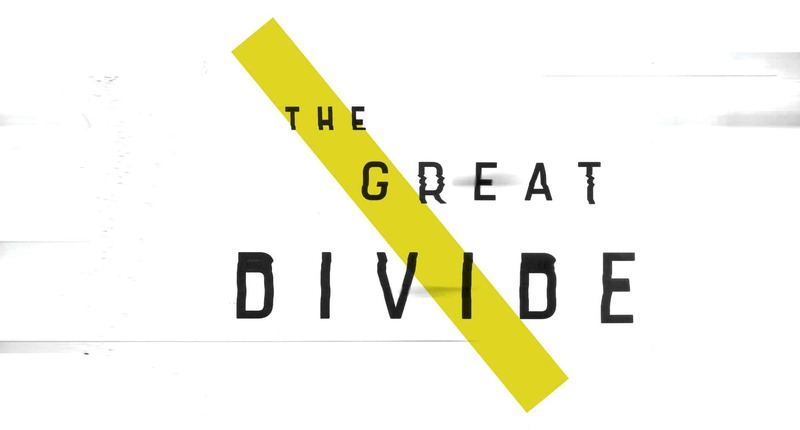 These ideas about race, diversity and multiculturalism have been the cause of major cross-generational divisions. And it’s recently even divided some within the Church itself. Michelle Higgins is an activist in the Black Lives Matter movement who serves as the director of worship and outreach at South City Church in St. Louis. She’s also been a speaker at the Urbana missions conference, which is popular among millennial Christians. Higgins, self-described as “between millennials and boomers” in age, says that one of the most important things for millennial Christians to engage is the idea of ethnic solidarity. “Ethnic solidarity is participation in [the] statement that we are not each other’s enemies,” she explains. Though many millennials are members of increasingly diverse communities, racial injustice is still prevalent. And fighting it means coming together across racial lines and generations. For her, it starts with real dialogue. “We have intentionally prioritized moving across generational lines and moving those boundaries,” she explains. Higgins directs an annual conference where they have kitchen-table talks. These types of cross-generational conversations allow for real connection because they are based on finding areas of agreement and can help each generation understand issues from the other’s perspective. Often times, this can lead to greater understandings on important issues. It’s when they engage from across the generational lines that these types of issues can be exposed and explored. This isn’t exclusively an American phenomenon. Just ask Christine Caine. She spent her first 15 years of ministry working with youth (which in Australian contexts usually includes college and early professional ages). “I think not being able to vote in America is great for me because it gives me a different perspective and you’re even looking at the whole process very differently,” says Caine, an internationally sought speaker, and the founder of A21 and Propel. “One really good thing about just being around this long is I don’t really freak out much—because there is nothing new under the sun. … You tell me anywhere in history where one generation has not thought that the other one is entirely evil or doesn’t understand. She takes this as a solid indicator that generational divides aren’t fundamentally about, well, generations. “I actually think young people want to hear from older people who are still running their race and still very committed to running their race on mission toward Jesus,” she says. She’s talking about authenticity—the idea that you are still learning and you’re honest about both the known and the unknown. For Caine, that’s where the disparity is: Generational divide seeps in where one—or both—party thinks the other isn’t practicing what it preaches. It’s an issue of the personal actions, something younger Christians have a lifetime of opportunity observing in the generations ahead of them. Still, Caine’s point only diagnoses the problem. How do Christians of this—and the older—generation actually learn to come together? Bridging the generation gap is important, but Caine doesn’t think that necessarily means focusing on dissolving generational tensions. In fact, learning through the tension might actually be the whole point. If there’s a takeaway from Taylor’s research, it’s that while this generation owns singular points of disagreement and differentiation from its predecessors, the phenomenon is not a millennial one. Of course, as he says, a whole slew of factors shape each generation. But Caine pushes back against the idea that insurmountable divisions are inevitable. It’s just the opposite; Christians are free to see tensions as a way to grow. This is essentially the same thing Higgins is getting at when she talks about her community demoting the import of generational divides in order to focus on a common need or goal. The public doesn’t know whether or not “Craig” ever resolved things with his mom. Maybe there’s a genuine ideological or theological division there, or maybe they stopped being Facebook friends. But you can see in that example how the dynamic Higgins and Caine describe could play out: Craig sharing an article about God’s concern for refugees is the opposite of dishonor, but for one reason or another, his mom perceived the post as a political affirmation of something that has almost nothing to do with refugees. Whatever else is going on, this thread opened up an opportunity for Christians from different generational influences to connect and see how a shared goal might help them understand each other better and find ways to work toward a common goal—whether that’s helping refugees or simply trying to live your life based on biblical premises. Essentially, they’re talking about extending their connectivity tendency to relationships outside of technology. When that happens, generational tensions offer a chance to grow—and if a generation of Christians can eschew the us-vs-parent norm, the resulting change in the world could be, as Russell says, profound.